Join +Stephan Hovnanian and I as we have an enlightening important conversation with our featured expert, +Mike Blumenthal to talk about a website's local presence and what business owners need to know. We'll also get into some unravel issues that come up. This show will cover two parts. First, FINDING all versions of you and your business on Google... How do they search for that on Local, the new business pages, YouTube and G+. When you find all versions, where is the best place to start the merge and/or delete? What about when they have more than one location? The verification process to identify ownership and take control. As important as the new business page changes are, these first steps are critical to know the mess before you can focus and hit the local pages hard. I think I'll be hiring him for my own tangled mess. 04:52 Mike talks about the bus ride to the current search results method. 06:50 +Stephan Hovnanian asks what businesses need to feed Google, as far as correct information. 09:40 NAP: Name, Address, Phone Number - must be consistent EVERYWHERE - not just Google. 11:00 Start with a NAP Audit to verify they have your right location and info. 12:20 step 2: Go to maps sites: #navtech #teleatlas and #openstreetmap to see how your business address resolves. 13:15 do the same on Google maps. If they can't find you, you can't close the sale! 15:50 +Chad Russell comment about citations. 17:15 Local prominence - such as the Chamber of Commerce. 18:15 Don't forget about local business guides and listing sites. 20:00 The coveted 7 Pins on page one of Google search an the map to the right. 22:40 - A fabulous profile image is critical. 23:35 Q from +Jennifer Mortensen Do reviews factor into rankings? 5+ reviews will give you a ranking bump. 25:30 Google will use driving directions for results if there are no reviews to consider. 26:00 How frequently do people post reviews for local businesses? 56% of 1000 surveyed in US said NEVER, 22% less than once per year. 27:54 Phone numbers are the KEY GLUE that hold a data cluster together. 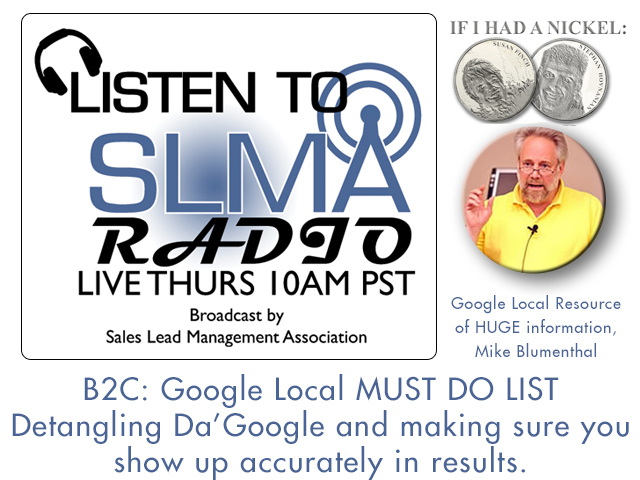 29:00 If Google calls you to confirm your business, you'd better be answering it with the name you have in your listing and not a variation! 31:30 Comment from +Linda Buquet regarding location prominence and centroid - how it's changed over the years. 33:20 Q from +Christopher Vogelmann - Does the Twitterverse affect our search rankings. Jump to here to find out. 35:44 - +Susan Finch says the best advice she can give a business, "Be BETTER at what you do! Be the best." that's how you affect rankings, reviews and more. 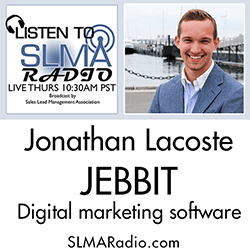 John Golden, author of Social Upheaval How to Win @ Social Selling, former CEO and president of Huthwaite, and currently president of Focused Revenue Results, will be interview by SLMA Radio host Jim Obermayer to discuss his latest work Social Upheaval. Golden makes the case that social media is slanting the playing field in favor of the buyer at the salesperson's expense. At the same time, he says if you cannot sell off-line, you cannot sell on-line. 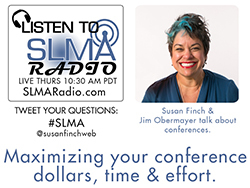 Obermayer says he looks forward to this interview more than almost any other in recent memory and this program on SLMA Radio will take up the entire 55 minute segment. Obermayer met Golden at a reception hosted by Pipeliner CEO Nikolaus Kimla in Los Angeles at the Johnathan Club on June 11th. 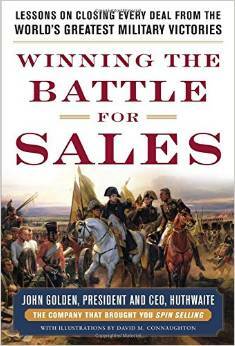 John Golden is the Amazon Best Selling Author of "Winning the Battle for Sales: Lessons on Closing Every Deal from the World's Greatest Military Victories" and has recently published his second book ​"Social Upheaval: How to Win at Social Selling". A globally acknowledged thought leader, John, has a passion for small to medium businesses, especially in helping unlock the advantages they can hold over larger organizations in terms of focus, agility and speed of execution. He previously held the position of President & CEO of Huthwaite, the creators of SPIN Selling, where he achieved the highest revenue, operating profit and margins in the company's long history. The average operating profit margins of 20+% achieved during his five-year tenure compared with a 10% average margin during the 10 years previous to his arrival. Likewise as President & CEO of Omega Performance, Golden achieved operating profit margins of 20+% during his three-year tenure compared with a 14% average during the prior 5 years. Drawing on his time successfully running small-to-medium businesses and business units, as well as interacting with a multitude of diverse organizations across the globe, Golden has developed a framework for how to identify and target 7 levers that can deliver revenue and margin growth. He founded Focused Revenue Results to help other small and mid-market businesses achieve their goals and unlock their growth potential. Focused Revenue Results, Inc. was founded to help small and mid-market businesses unlock their true potential in terms of revenue and margin growth. Everyone involved with the organization has a passion for helping small and mid-market business achieve outsized results. Everyone has run either their own business or small & mid-market organizations. We all understand the constraints businesses of these sizes operate under but we also know how to unlock the advantages and how to drive top and bottom line growth.